Employment Lawyer For Wrongful Termination In California. The term “Wrongful Termination” generally refers to an employee being fired when they shouldn’t have been, either because the termination violates a contract or a statute. Many employment terminations are wrongful or illegal. However, many terminations are perfectly legal. In California, employment is presumed to be “at will.” This means that the employer can usually fire the employee for no reason at all, or for any reason which is not illegal. Some courts have held that an employer does not have to explain why they fired an employee, and the employer can even make up a false reason for the termination. Likewise, the employer can discipline, demote and reduce pay for no reason. However, there are exceptions to these general rules. Employers can’t violate the “public policy” of California by firing employees for exercising rights expressed in statutes or other fundamental public policy. For example, if an employee complains to the employer about not being paid overtime, or not being allowed to take breaks, or because the employer is otherwise violating the law, and the employee is terminated for their complaint, the employee can usually bring a suit against the employer because public policy forbids such termination. 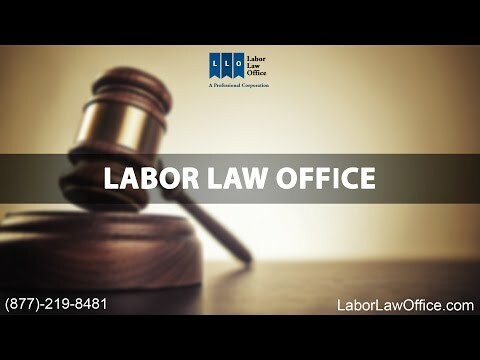 In the case of a contract for employment, the terms of employment are spelled out in a contract, which may limit the employer’s ability to terminate an employee. The contract may be written, oral or “implied.” If a termination occurs, it may be a breach of contract. This situation frequently arises when executives are terminated. Rank and file workers may be subject to contracts as well, such as when a union member is terminated. The union agreement or “Memorandum of Understanding” (MOU) usually controls what the employee’s rights to employment are. Employers may not retaliate against an employee because the employee has reported illegal activity of the employer. The report can be to the employer or to a government agency. This would include retaliation for filing a discrimination complaint, filing a wage claim, complaining to OSHA or other protected activity. Employers may not discriminate against employees for filing workers’ compensation claims. There are many other statutes which may prevent employment termination. For specifics, you should contact Labor Law Office. Can A California Employee File A Wrongful Termination Lawsuit After Legal Marijuana Use? When Is The Deadline To File A Claim For Wrongful Termination? What is Wrongful Termination for At-Will Employees? Accommodations for Nursing Mothers: What Must Your Employer Do Under California Law?